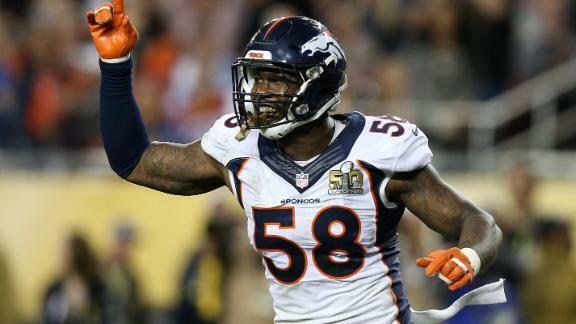 With the deadline for a long-term deal looming, the Denver Broncos have offered star linebacker Von Miller a record $70 million guaranteed as part of a six-year, $114.5 million deal, which the sides had agreed to in June, a source said. That would make Miller the highest-paid non-quarterback in NFL history based on guaranteed money, as well as the highest-paid player in Denver franchise history. A source familiar with the talks said Thursday night he was "optimistic'' the deal will get done by the 4 p.m. ET Friday deadline for designated franchise players to sign long-term contracts. The Broncos and Miller's agent, Joby Branion, had no substantive talks Thursday, but they are expected to re-engage Friday morning, a source said. The two sides had agreed to the basic framework of the deal in June; after a negotiating respite in recent weeks, they have since traded proposals about the guaranteed money. Quarterback Andrew Luck's recently signed extension with the Indianapolis Colts included an NFL-record $87 million in guaranteed money. The highest amount for a non-QB currently belongs to defensive end Fletcher Cox, who got $63.3 million guaranteed from the Philadelphia Eagles. The Broncos' latest offer to Miller includes the majority of the guaranteed money in the first two years of the deal. Their offer to him in June included $39.8 million guaranteed in the first two years -- $38.5 million guaranteed money at signing with $1.3 million in workout bonuses. But with a finger pointed at the market, Miller and his representatives flagged Cox's six-year, $102.6 million deal with the Eagles. Miller, 27, had been designated the team's franchise player in February, which came with a one-year guaranteed tender of just over $14 million for the 2016 season. But the two sides have tried, with some starts and stops, to negotiate a long-term deal since the NFL scouting combine. Miller has vowed not to play the 2016 season under the franchise tag, which is increasingly looking like a moot point with the megadeal on the table. The Broncos' first-round pick in 2011, Miller has 60 sacks in five seasons and played a key role on last season's league-best defense. He reached what Broncos coach Gary Kubiak called a "dominant level" of play in a postseason run that included five sacks, two forced fumbles and an interception in three postseason games. His sack and forced fumble on Carolina Panthers quarterback Cam Newton in Super Bowl 50 created the Broncos' first touchdown in the title game as Denver's Malik Jackson recovered the fumble in the end zone. Miller's ascent to Super Bowl MVP came two seasons after a troubling 2013, during which he was suspended six games under the league's substance-abuse policy. Miller also tore an ACL in the second-to-last regular-season game of 2013. 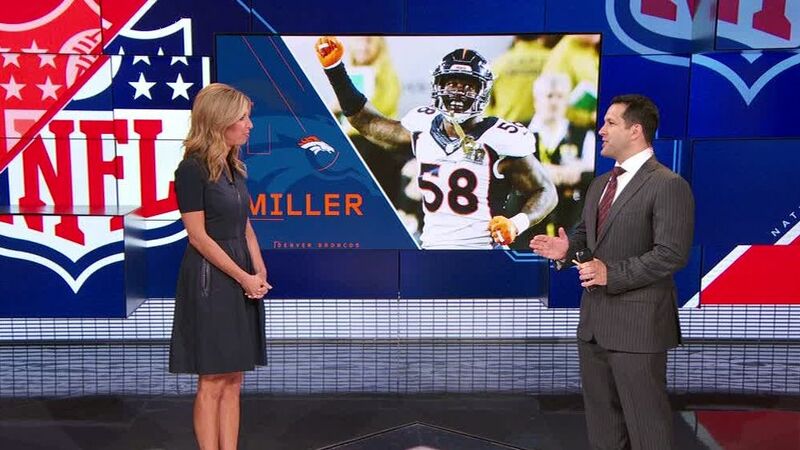 Adam Schefter breaks down the Broncos' offer to Von Miller and says the expectation is Miller will accept the deal. Jeff Legwold explains how Von Miller's patience is paying off with the Broncos reportedly offering him a deal worth a guaranteed $70 million.